Pentagram releases new music, Bobby Liebling lives! Long time fans might be trying to identify the guy in the bottom right corner. That would be one Jonathan Donais, better known as a guitarist from Shadows Fall. He has replaced Rob Caggiano, who replaced co-founding member Danny Spitz, except for when the ‘Among the Living’ lineup re-united when Spitz returned for that tour. Caggiano left to join Danish rock band Volbeat. The band had a lengthy mid-career with vocalist John Bush, who replaced Joey Belladonna, who also came back for the ‘Among the Living’ line-up reunion, then stayed… but this lineup has been stable with the Belladonna vocals since the 2011 album, “Worship Music”. 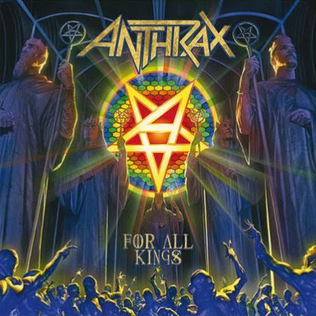 So aside from the guitarist, this is the original lineup of Anthrax. (ok… they had an original singer before Belladonna… but that’s just going back too far, you detail whore). The lyrics were written by guitarist Scott Ian who commented that it was brought about by the actions of people “who feel they have become judge, jury and executioner over their fellow man”, calling this mindset the “evil twin” of humanity. 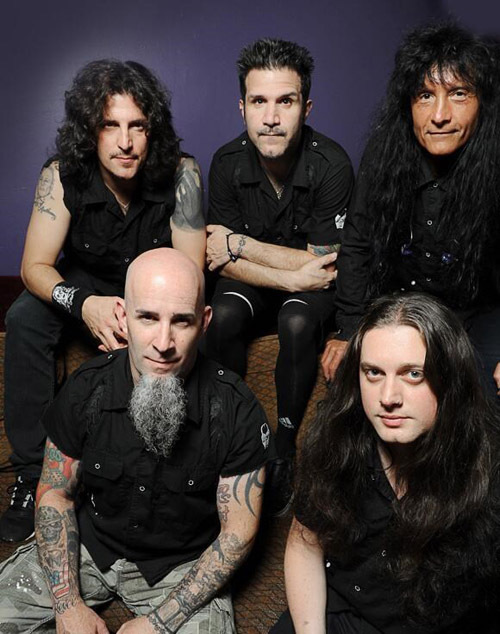 And here is some super old Anthrax just ’cause I love you all.